Online Key Cutting by Postkeys UK | Secure online key cutting postal service based in Scotland, Wales and England. 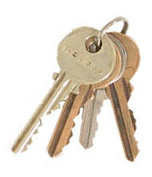 Secure online key cutting postal service based in Scotland, Wales and England. or click for information about our online key cutting. A secure, low cost, online key cutting service. Call 077887 25592 or click here for more information. You can send an enquiry online here. In February 2019 I moved to Bromham, Wiltshire, New Address on Contacts Page. Terms and Conditions - Sitemap - Website designed by SenSeb Productions Ltd.
We cover Scotland, Wales, Northern Ireland, England, and all Islands covered by Royal Mail.